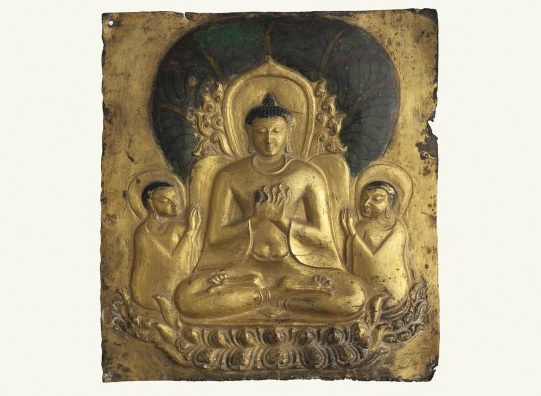 Buddhist Art of Myanmar is the first exhibition in the West focusing on works of art from collections in Myanmar. The exhibition comprises approximately 70 spectacular works—including stone, bronze and wood sculptures, textiles, paintings, and lacquer ritual implements—from the fifth through the early twentieth century. Artworks include objects created for temples, monasteries, and personal devotion, which are presented in their historical and ritual contexts. The exhibition explores how Buddhist narratives were communicated visually and the multiplicity of regional styles. 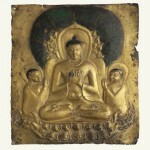 Many of the works in the exhibition have never been shown outside of Myanmar. Works are on loan from the National Museum of Myanmar in Yangon and Nay Pyi Taw; Bagan Archeological Museum; Sri Ksetra Archaeological Museum, Hmawza; and the Kaba Aye Buddhist Museum, as well as works from public and private collections in the United States.